New rule: anything made before 8 a.m. can be attributed to the preceding day! 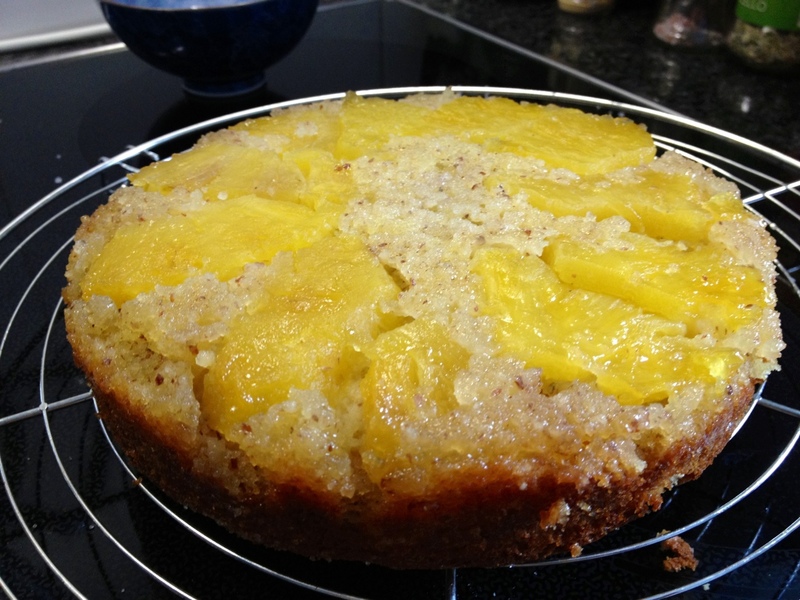 I completely forgot to make my pineapple upside down cake yesterday but was up at 6 this morning baking. 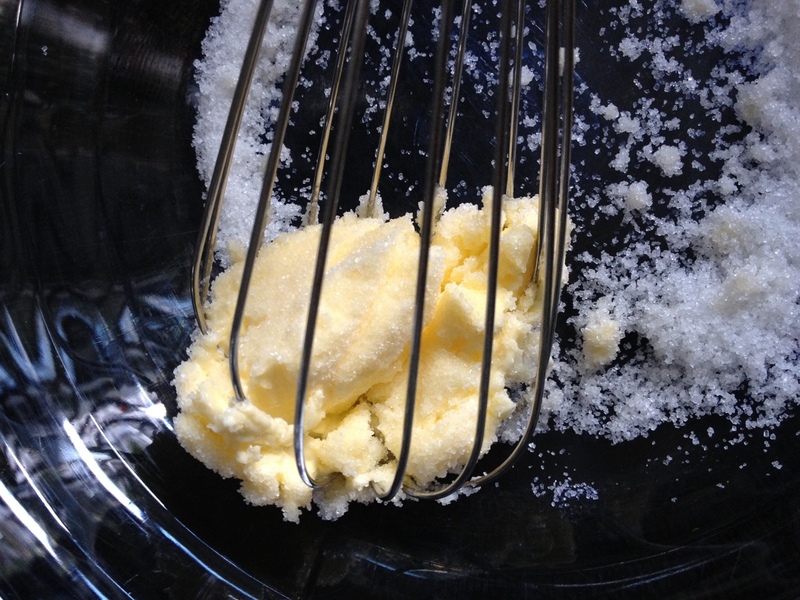 For the cake mix I adapted a muffin recipe and whisked 80g soft butter with 125g sugar and a packet of vanilla sugar. 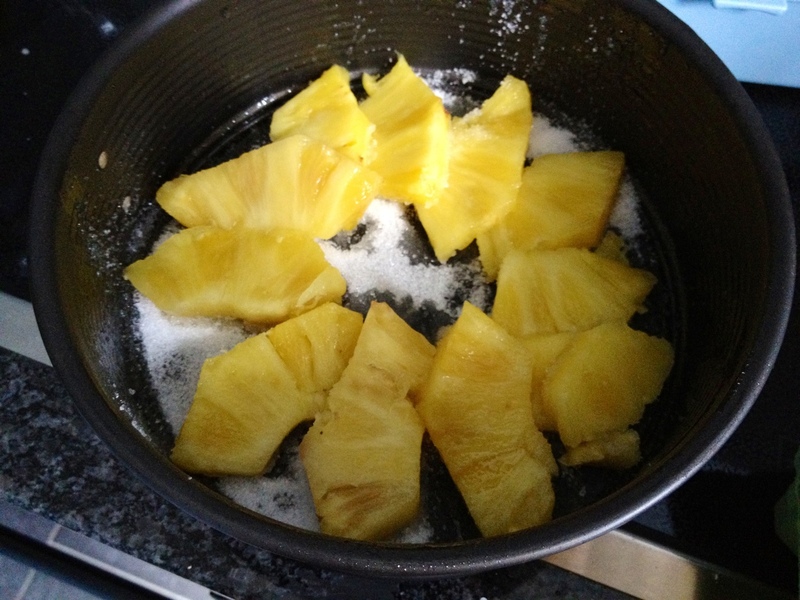 Next I whisked in 2 eggs, 2 tablespoons condensed milk and 1.5 dl milk. In a separate bowl I mixed 250g flour, 50g ground almonds, a pinch of salt, 1 teaspoon of baking powder and 1/2 a teaspoon of bicarbonate of soda. 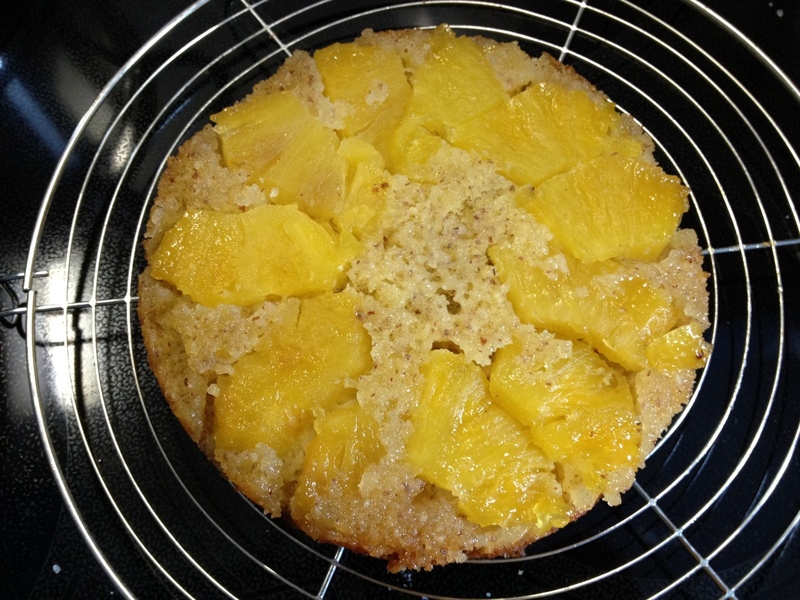 Next I covered the bottom of a round cake thin with sugar and put my vodka infused pineapple slices on top. 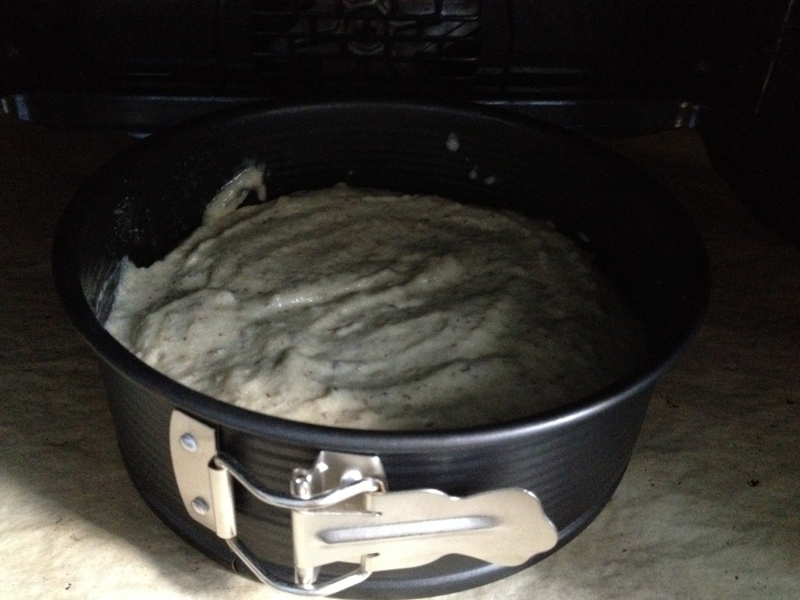 I mixed the ingredients for the cake and poured it in the baking tin. After baking for 30 minutes at 180C it was ready. 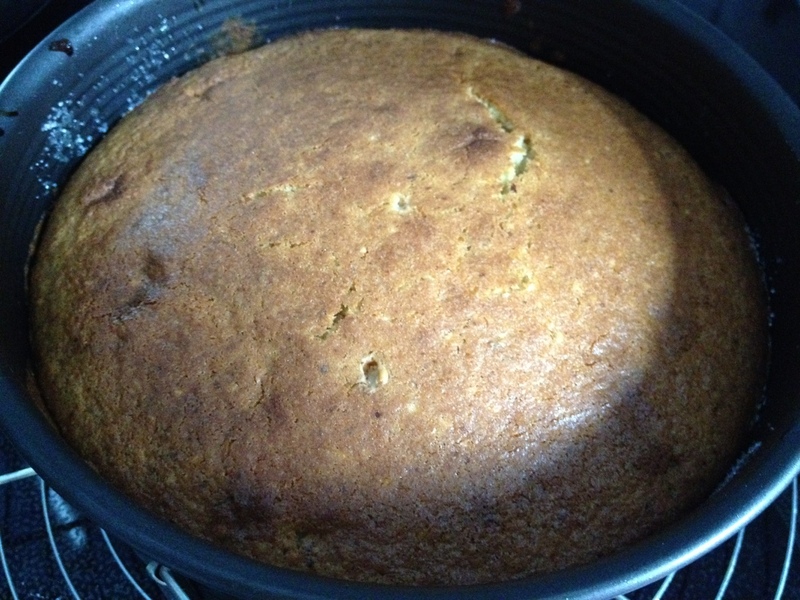 I left it in the tin for 10 minutes to cool and then turned the cake over. 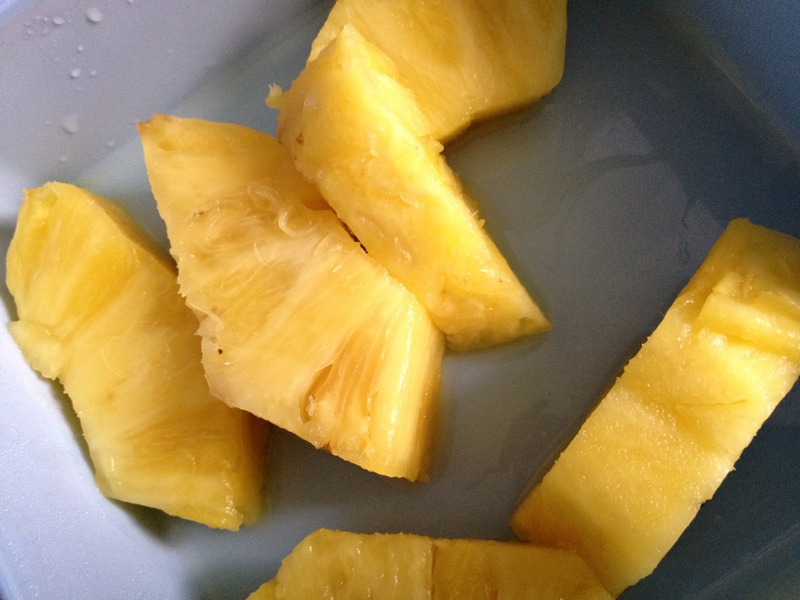 A beauty to look at and the vodka pineapple tastes delicious. The vodka still comes through so this cake is not for children!